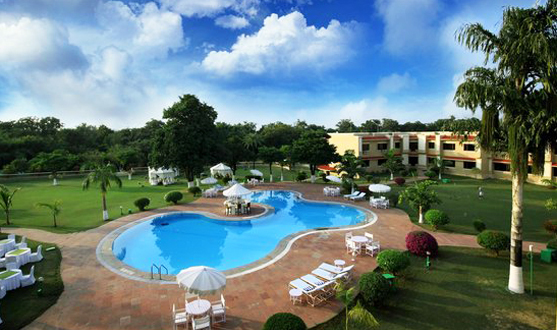 Arrive Khajuraho and transfer to your hotel. In the evening, enjoy an optional Sound and Light Show on the Western Group of temples. The show recounts the life and times of the great Chandela kings and the story of the amazing temples from the 10th century to the present day. The 50-minute show is held every evening in Hindi and in English. Dinner and overnight. Breakfast at the hotel. Khajuraho houses beautiful temples of the Chandela Dynasty. The place has been recognized by UNESCO as a World Heritage Site. Western Group of Temples: On the main road, beside the path leading to the Matangeshwar Temple is the A.S.I counter where you must purchase a ticket to visit the Western Group of temples and the museum on the opposite side. A boundary wall surrounds and protects the temples within this large rectangular complex and there is only one entry point. See some of the most sensational temples in the world. Devi Mandap: Directly opposite the large Lakshman Temple, its cemented peaked roof is an indication that it has been renovated during the last century. Varaha Mandap: This open pavilion stands elevated above the ground with 14 short pillars that support the high pyramidal roof. Lakshman Temple: It is one of the three largest temples of Khajuraho and the western group of temples and is considered to be the earliest (c.AD 954) to have been built by the Chandela rulers. The temple is dedicated to Vishnu. 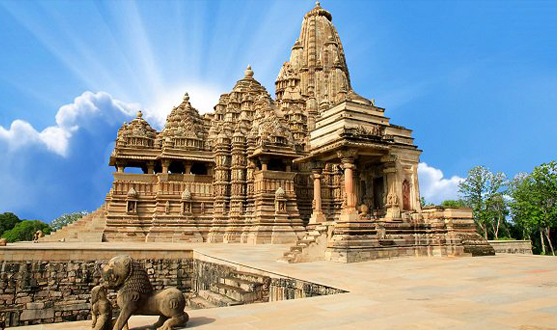 Kandariya Mahadev Temple: This is the largest and most magnificent temple in Khajuraho. The elegant proportions of this building and its sculptural detailing are the most refined examples of the artistic heritage of central India. Mahadev Shrine: Between the Kandariya and the Devi Jagdambi Temples is a small shrine which consists of a small open - pillared porch and sanctum. Devi Jagadambi Temple: This is much smaller than the magnificent Kandariya Mahadev Temple. It has some of the loveliest sculptures in Khajuraho. Eastern Group of Temples: A kilometer to the east of the Western Group of Temples is the Khajursagar and the old village of Khajuraho. On one its paths is a modern whitewashed structure with a large orange - red statue of Hanuman, the monkey god. The statue is still worshipped and is one of the oldest images to be found in Khajuraho. The eastern group of temples comprises of the Brahma Temple, the Javari Temple, and the Vamana Temple. After breakfast, drive to the Bandhavgarh National Park, the former hunting grounds of the Maharaja of Rewa, housing a high density of tiger population. Arrive and check-in at your jungle lodge. The evening is scheduled for a safari into the park. You may spot animal species like Panther, Spotted Deer, Sambhardeer, Nilgai (Blue Bull), Gaur, Wild Boar along with many species of birds. Dinner and overnight. After breakfast drive to Kanha National Park which inspired famous novelist Rudyard Kipling to pen down his well-known novel 'the Jungle Book'. Arrive and check-in at your jungle resort. In the evening, embark on a jungle safari (Included). The park is known for housing a good population of Royal Bengal Tiger, leopards, the sloth bear, Indian wild dog and Barasingha, along with around 300 avifauna species. Do not miss viewing the sunset at the Bamni Dadar point. Dinner and overnight. 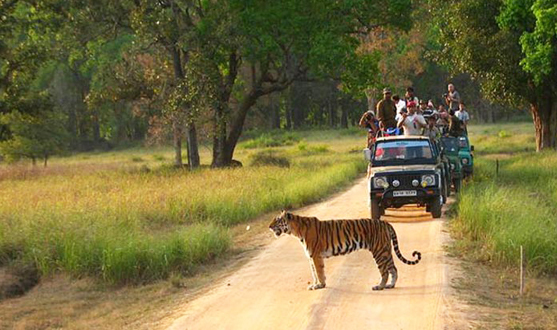 Enjoy an early morning safari into the Kanha National Park. Breakfast and check out. Transfer to the Jabalpur airport / railway station. Package Price: Rs. 25,800 per person on double occupancy basis. Accommodation on double occupancy basis in the above mentioned hotels or similar. 3 Jungle Safaris as per the itinerary (on sharing basis). Transfer from airport / railway station. Wagon R / Alto / similar for all sightseeing as per the itinerary. All the hotels are subject to availability. In case fresh taxes are levied by the Government, the additional cost will have to be paid. Prices valid for those residing in India. Non residents / overseas guests are requested to contact us.